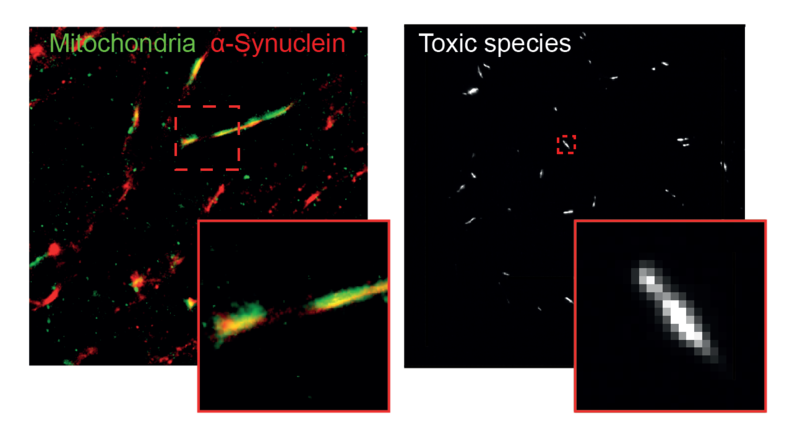 ASYN-CONA, a novel bead-based assay for detecting early stage alpha-synuclein aggregation. Pérez-Pi, I., Evans, D.A., Horrocks, M.H., Pham, N.A., Dolt, K.S., Koszela, J., Kunath, T., Auer, M.
Benson, S., Fernandez, A., Barth, N., de Moliner, F., Horrocks, M.H., Herrington, S., Abad, J.L., Delgado, A., Kelly, L., Chang, Z., Feng, Y., Nishiura, M., Hori, Y., Kikuchi, K., Vendrell, M.
Lee, J., Sang J.C., Rodrigues M., Carr, A.R., Horrocks, M.H., De, S., Bongiovanni, M.N., Flagmeier, P., Dobson, C.M., Wales D.J., Lee, S.F., Klenerman, D.
Whiten, D.R., Zuo, Y., Calo, L., Choi, M., De, S., Flagmeier, P., Wirthensohn, D.C., Kundel, F., Ranasinghe, R.T., Sanchez, S.E., Athauda, D., Lee, S.F., Dobson, C.M., Gandhi, S., Spillantini, M., Klenerman, D., Horrocks, M.H. Taylor, C.G., Meisl, G., Horrocks, M.H., Zetterberg, H., Knowles, T.P.J., Klenerman, D.
Whiten, D.R., Dezerae, D., Horrocks, M.H., Taylor, C.G., De, S., Flagmeier, P., Tosatto, L., Kumita, J.R., Ecroyd, H., Dobson, C.M., Klenerman, D.
Ranasinghe, R.T., Challand, M.R., Ganzinger, K.A., Lewis, B.W., Softley, C., Schmied, W.H., Horrocks, M.H., Shivji, N., Chin, J.W, Spencer, J., Klenerman, D.
Cox, D., Whiten, D.R., Brown, J.W.P., Horrocks, M.H., San Gil, R., Dobson, C.M., Klenerman, D., van Oijen, A.M., Ecroyd, H.
Kundel, F., De, S., Flagmeier, P., Horrocks, M.H., Kjaergaard, M., Shammas, S.L., Jackson, S.E., Dobson, C.M., Klenerman, D.
Nanobodies raised against monomeric alpha-synuclein inhibit fibril formation and destabilize toxic oligomeric species. Iljina, M., Hong, L, Horrocks, M.H., Ludtmann, M.H., Choi, M.L., Hughes, C.D. Ruggeri, F.S. 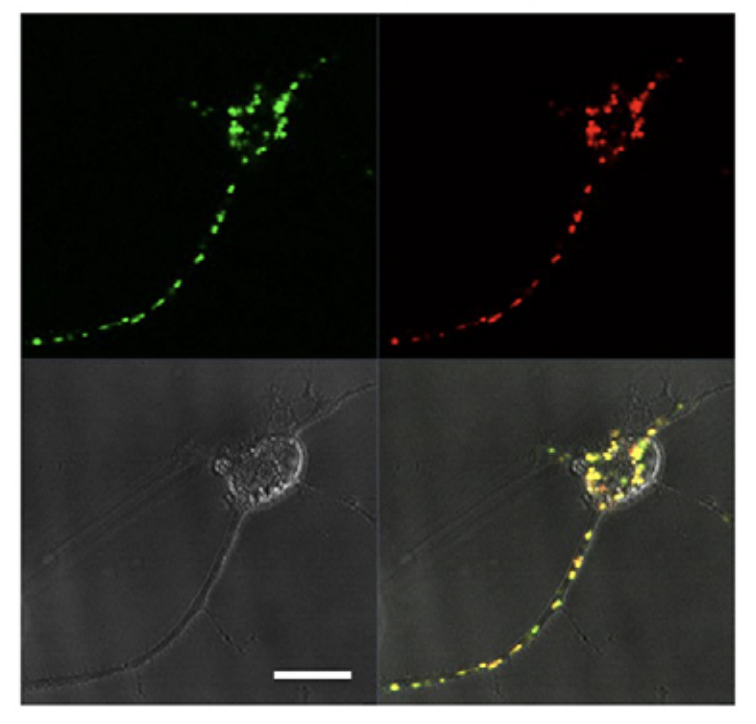 Guilliams, T., Buell, A.K., Lee, J.E., Gandhi, S., Lee, S.F, Bryant, C.E., Vendruscolo, M., Knowles, T.P.J., Dobson, C.M., De Genst, E., Klenerman, D.
PEGylated liposomes associate with Wnt3A protein and expand putative stem cells in human bone marrow populations. 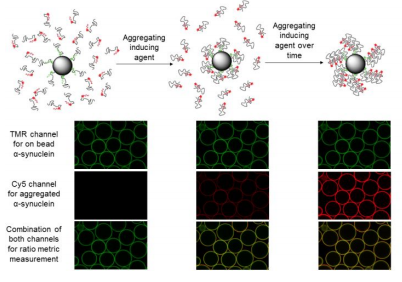 Janeczek, AA, Scarpa, E., Horrocks M.H, Tare, R.S., Rowland, C.A., Jenner, D., Newman, T.A., Oreffo, R.O.C., Lee, S.F., Evans, N.D.
Co-aggregation of κ-Casein and β-Lactoglobulin Produces Morphologically Distinct Amyloid Fibrils. 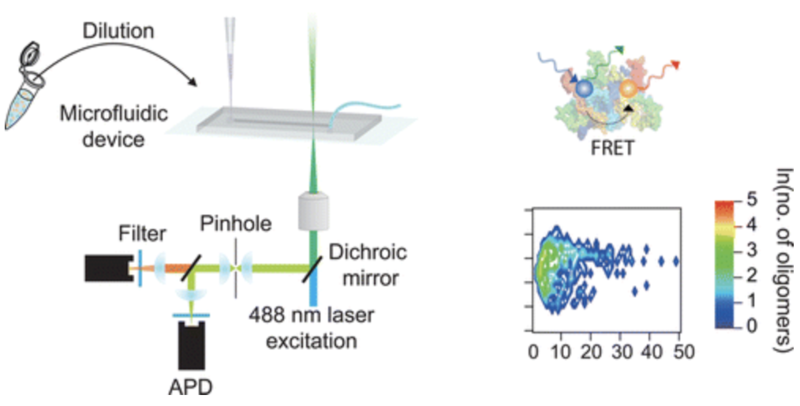 Raynes, J.K., Crepin, P., Horrocks, M.H., Carver, J.A., Day, L.
Multi-dimensional super-resolution imaging enables surface hydrophobicity mapping. Bongiovanni, M.*, Godet, J. *,Horrocks, M.H. *, Tosatto, L., Carr, A.R, Wirthensohn, D.C., Ranasinghe, R.T., Lee, J., Ponjavic, A., Fritz, J.V., Dobson, C.M., Klenerman, D., Lee, S.F. 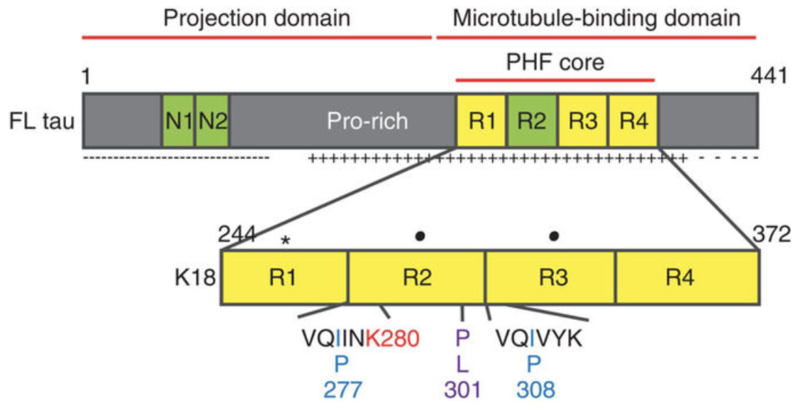 The remarkably low affinity of CD4/peptide-major histocompatibility complex class II protein interactions. 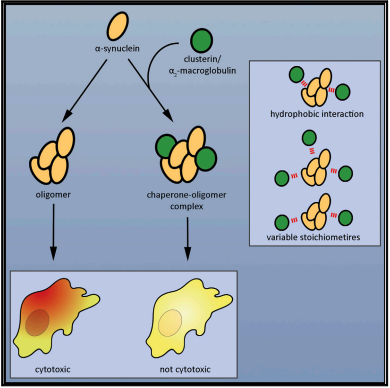 Jonsson P., Southcombe J., Mafalda A., Santos A.M., Fernandes R.A., McColl J., Chang V.C., Godkin A., Dunne P.D., Horrocks M.H., Palayret M., Fugger L., Xu X., Davis S.J., Klenerman D.
PSD95 nanoclusters are postsynaptic building blocks in hippocampus circuits. Broadhead M.J., Horrocks M.H., Zhu F., Muresan L., Benavides-Piccione R., DeFelipe J., Fricker D., Kopanitsa M.V., Duncan R.R., Klenerman D., Komiyama N.H., Lee S.F., Grant S.G.N. 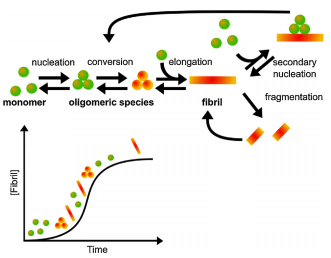 A kinetic model of the aggregation of alpha-synuclein provides insights into prion-like spreading. Iljina,M., Garciaa, G.A., Horrocks, M.H., Tosatto, L., Choi, M.L., Ganzinger, K.A., Abramov, A.Y., Gandhi, S., Wood, N.W., Cremades, N.,Dobson, C.M. 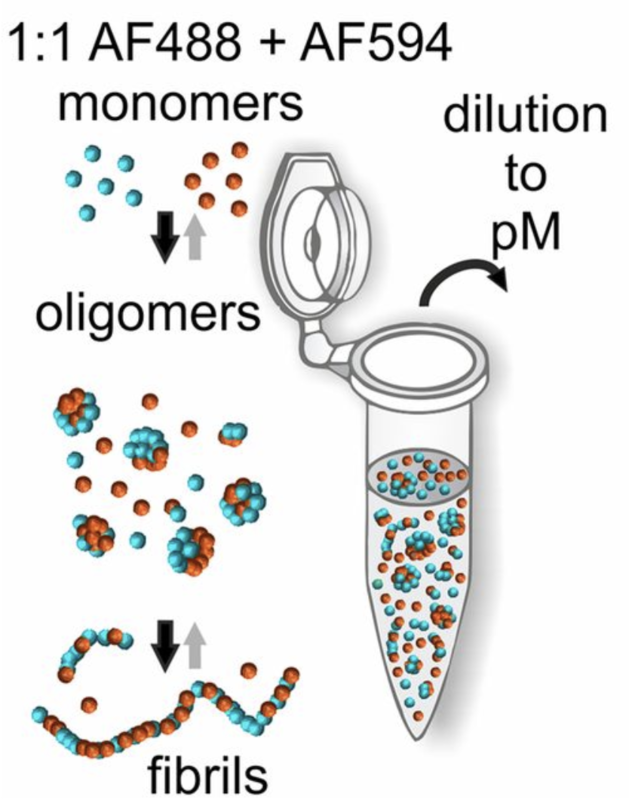 , Knowles, T.P.J., Klenerman, D.
Single-molecule imaging of individual amyloid protein aggregates in human biofluids. Horrocks M. H., Lee S.F., Gandhi S., Magdalinou N.K., Chen S.W., Devine M.J., Toasatto, L., Kjaergaard M., Beckwith J.S., Zetterberg H., Iljina M., Cremades N., Dobson C.M., Wood N.W., Klenerman D.
Calcium is a key factor in alpha-synuclein induced neurotoxicity. 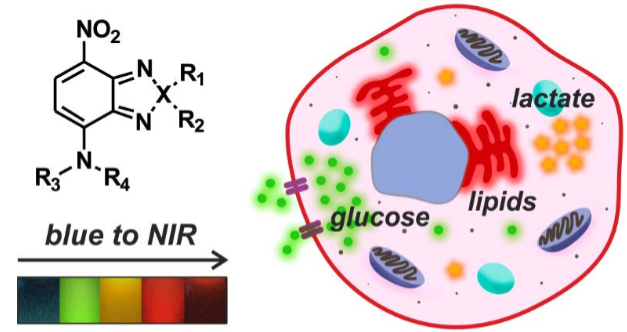 Angelova, P., Ludtmann, M., Horrocks, M.H., Negoda, A., Cremades, N., Klenerman, D., Dobson, C.M., Wood, N., Pavlov, E., Gandhi, S., Abramov, A.
Alpha-synuclein oligomers interact with metal ions to induce oxidative stress and neuronal death in Parkinson's disease. 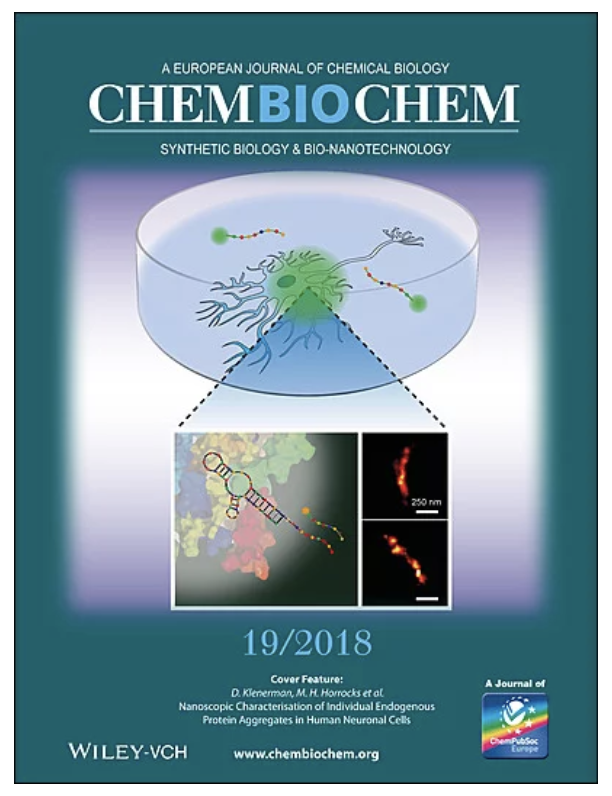 Deas, E., Cremades, N., Angelova, P.R., Ludtmann, M., Yao, Z., Chen, S., Horrocks, M.H., Banushi, B., Little, D., Devine, M., Gissen P., Klenerman, D., Dobson, C.M., Wood, N., Gandhi, S., Abramov. A.Y. 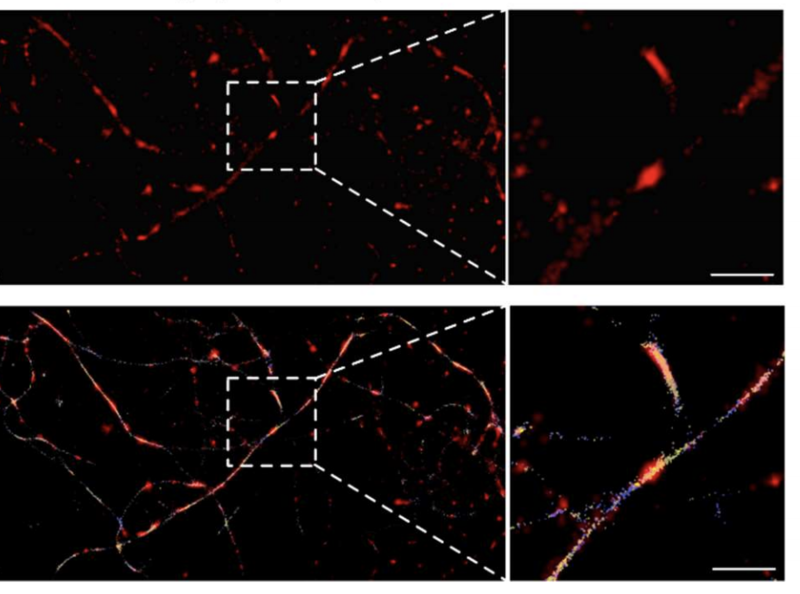 Single-molecule FRET studies on alpha-synuclein oligomerization of Parkinson's disease genetically related mutants. 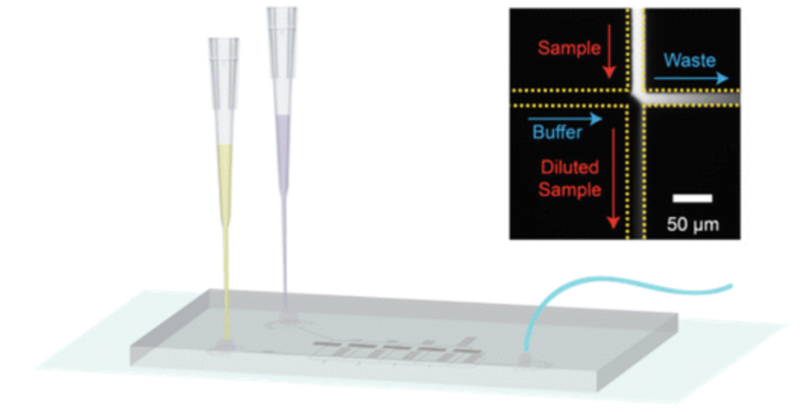 Horrocks, M.H., Tosatto, L., Dear, A.J., Knowles, T.P.J., Dalla Serra, M., Dobson, C.M., Klenerman, D.
Fast flow microfluidics and single-molecule fluorescence for the rapid characterization of alpha-synuclein oligomers. 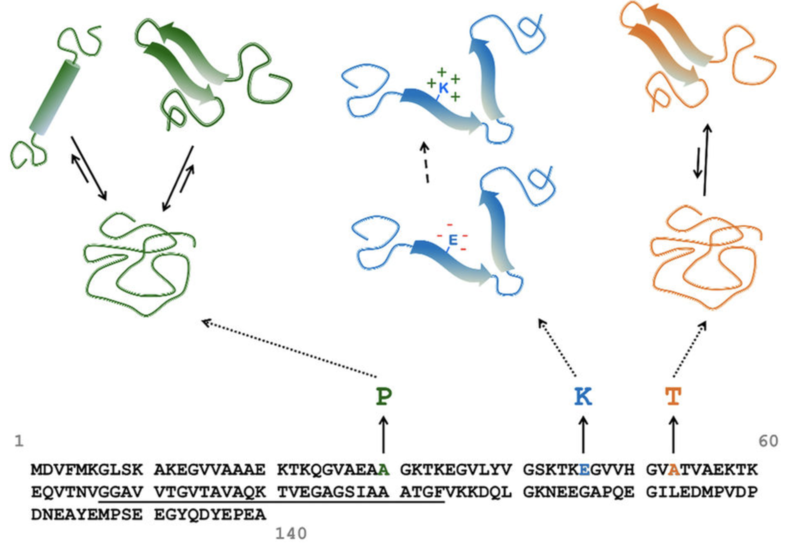 Horrocks, M.H., Tosatto, L., Dear, A.J., Garcia, G.A., Iljina, M., Cremades, N., Dalla Serra, M., Knowles, T.P.J., Dobson, C.M., Klenerman, D.
Aggregated alpha-synuclein and complex I deficiency: exploration of their relationship in differentiated neurons. Reeve, A.K., Ludtmann, M.H.R, Angelova, P.R., Simcox, E.M., Horrocks, M.H., Klenerman, D., Gandhi, S., Turnbull, D.M., Abramov, A.Y. 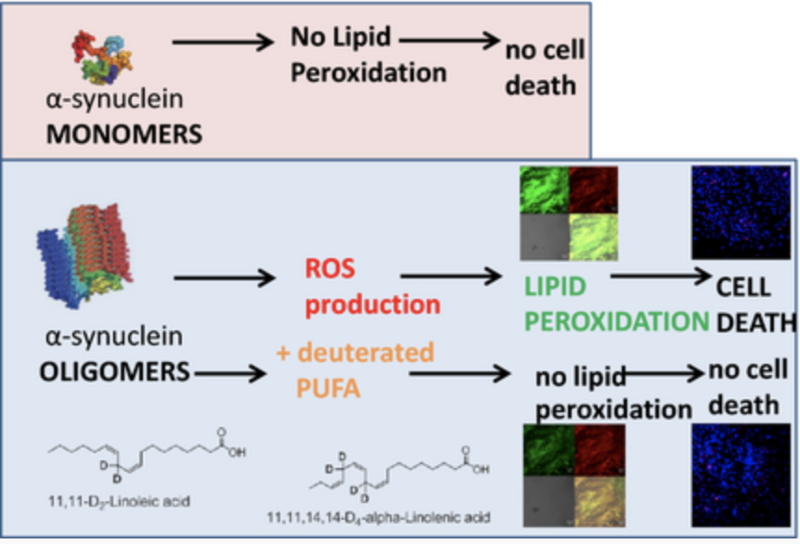 Lipid peroxidation is essential for alpha-synuclein-induced cell death. 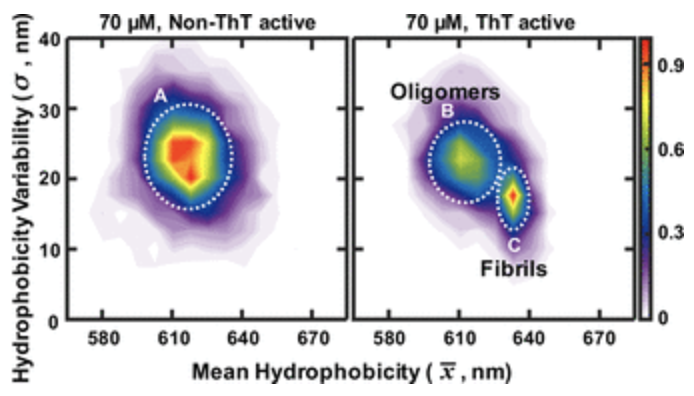 A mechanistic model of tau amyloid aggregation based on direct observation of oligomers. 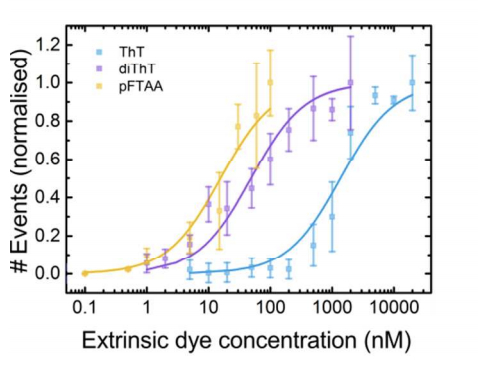 Shammas, S. L., Garcia, G. A., Kumar S., A., Kjaergaard M., Horrocks, M.H., Shivji N., Mandelkow, E., Knowles T.P.J., Mandelkow E., Klenerman, D..
Bayesian Inference of Accurate Population Sizes and FRET Efficiencies from Single Diffusing Biomolecules. 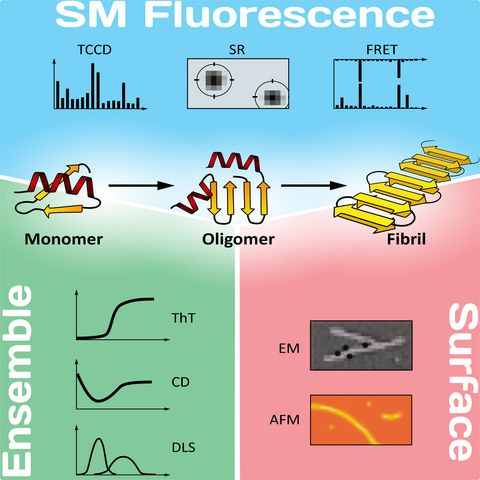 Murphy, R.M., Danezis, D., Horrocks, M.H., Jackson, S.E., Klenerman, D.
The changing point-spread function: single-molecule-based super-resolution imaging. Horrocks, M.H., Palayret, M., Klenerman, D., Lee, S.F. 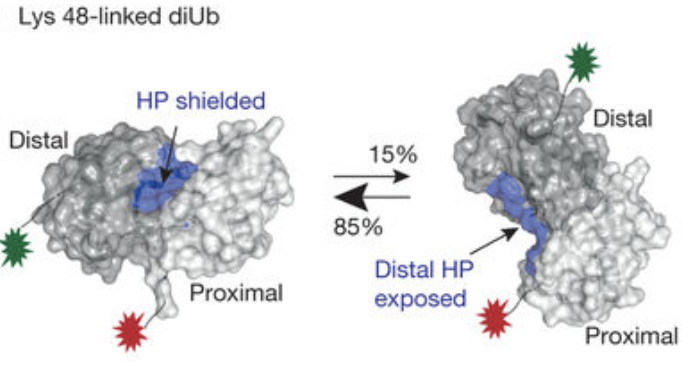 Horrocks, M.H., Rajah, L., Jonsson, P., Kjaergaard, M., Vendruscolo, M., Knowles, T.P.J., Klenerman, D.
Ubiquitin chain conformation regulates recognition and activity of interacting proteins. 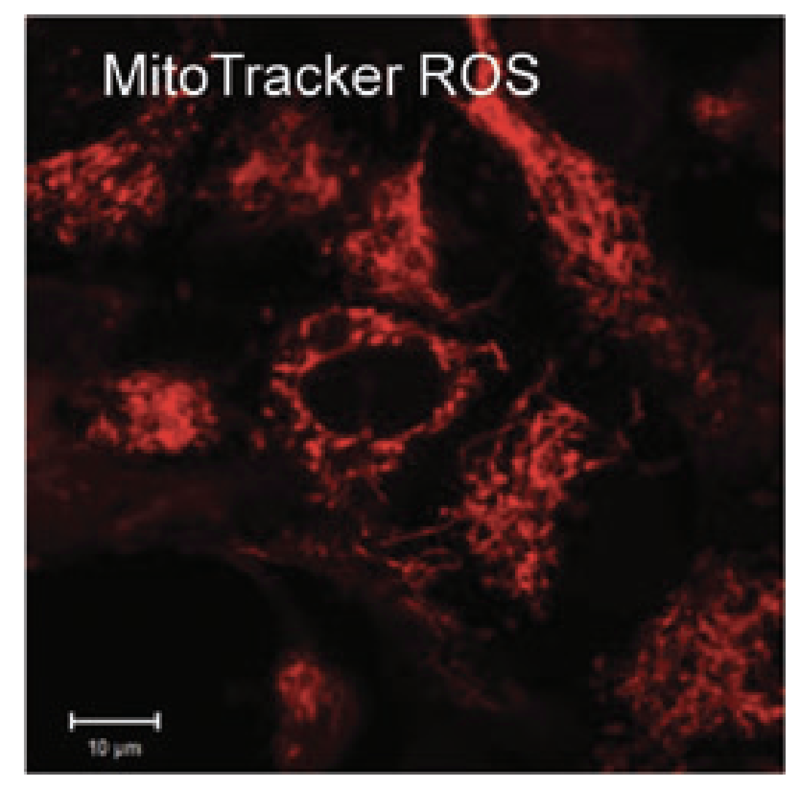 Ye, Y., Blaser, G., Horrocks, M.H., Ruedas-Rama, M.J., Ibrahim, S., Zhukov, A.A., Orte, A., Klenerman, D., Jackson, S.E., Komander, D.
Single molecule fluorescence under conditions of fast flow. Horrocks, M.H., Li, H., Shim, J.-U., Ranasinghe, R.T., Clarke, R.W., Huck, W.T.S., Abell, C., Klenerman, D.